For langer groups there are special busses from 27 till 80 seats available (some Mercedes Benz and other not). 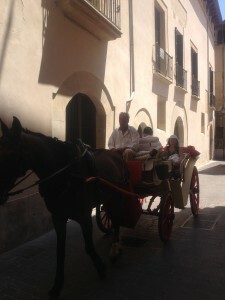 Mallorca Private Tour Guides will design for you a unique tour adapting to your needs and requests, contact us tell us what kind of tour you want to do, places you want to visit and we will customize an itinerary to suit your requirements. 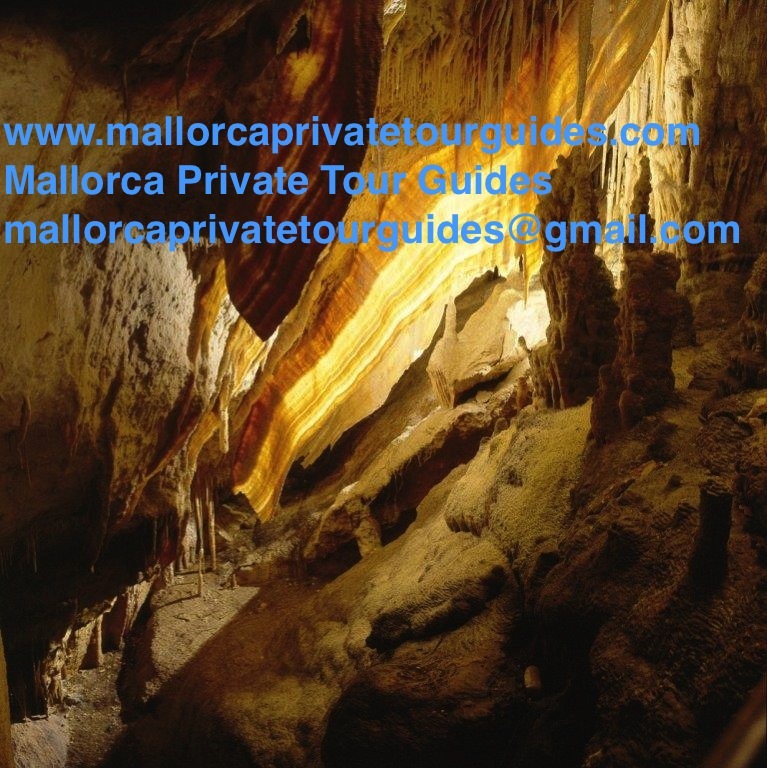 If you come to Mallorca you can not miss a visit to the famous Caves of Drach in Porto Cristo. The Caves of Drach are famous worldwide for having inside the largest underground lake in the world. We will drive direction to Porto Cristo, a beautiful fishing port situated on the east coast of Mallorca. In Porto Cristo,we will visit the famous caves of Drach with its amazing stalactites and stalagmites and attend to a spectacular classical music live concert performed into the largest underground lake on the world, Martel lake, also an amazing light show called the sunrises show and if desired you can cross the lake by boat. Back to Palma we will stop to visit the famous Mallorca pearl factory, our second largest industry, where we see the process to make the famous mallorca pearls. This is the best choice to discover the beauty of this island. We will departure from palma towards Valldemossa, the most beautiful village on this island, famous because the famous piano player Frederic Chopin spend a winter in Mallorca 1838-1839. 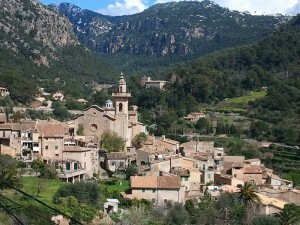 We will head to the mountains of Tramuntana, a beautiful scenery to reach this hidden treasure-Valldemossa-We ´ll take a short walking tour around this amazing town to discover its cobbled streets decorated with flowers and plants,the amazing gardens of the Carthusian monastery where Chopin was inspired to compose the prelude Raindrops,the birthplace of Saint Catalina Tomas,time to take pictures, shopping or try the delicious coca de patata, almond milk or hot chocolate. Then we will drive back to Palma to visit a jewel of Mediterranean Gothic , “the cathedral-La Seo”, where we will discover the world’s largest rose window in Gothic style and the works made by the famous Catalan architect Gaudi. 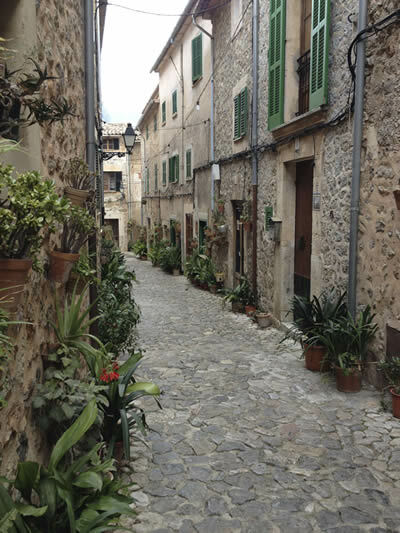 Discover with Mallorca Private Tour guides the history of the Majorcan Jewish community in an amazing walking tour with our professional licensed tour guides. 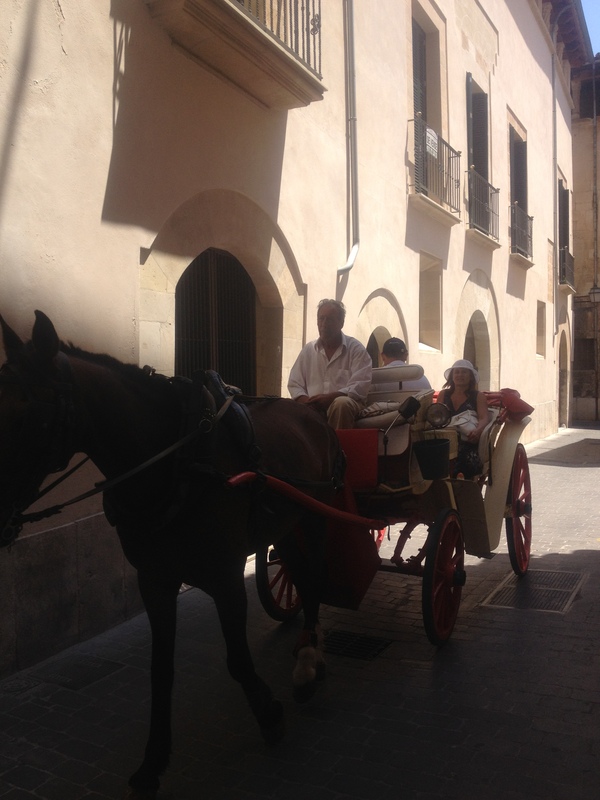 Our tour starts into Plaza de la Reina, where our experienced tour guides will explain you the history of the majorcan Jewish community. First a visit into the call menor, ” the Muslim aljama” back on the times of Medina Majurca,(902-1229) where Jews wherew living into the most important commercial roads in Muslim Aljama (Almudaina Arch). Then, the call mayor-medieval Jewish quarter to discover the remains of the synagogue-Mont Sion, the famous Jewish mallorcan cartographer Jafuda Cresques monument, calle de les escoles and calle de la Sapienza, there where located most of the Hebraic schools, the old synagogue, the legend of Torre del amor (Tower of Love), Santa eulalia and Calle Plateria where goldsmiths worked. Plaza Mayor where was placed the inquisition jail (casa Negra) , through the inquisition slope to El Paseo del Borne, the location of the inquisition “acts of faith” (autos the fe), where Jews were judged and sentenced to death. Optional: a visit to the Majorcan cathedral to see the impressive rose window decorated with Jewish star- Star of David and the Rimmonins of the Torah. Optional :a visit into the new synagogue owned by Jewish community in Majorca. 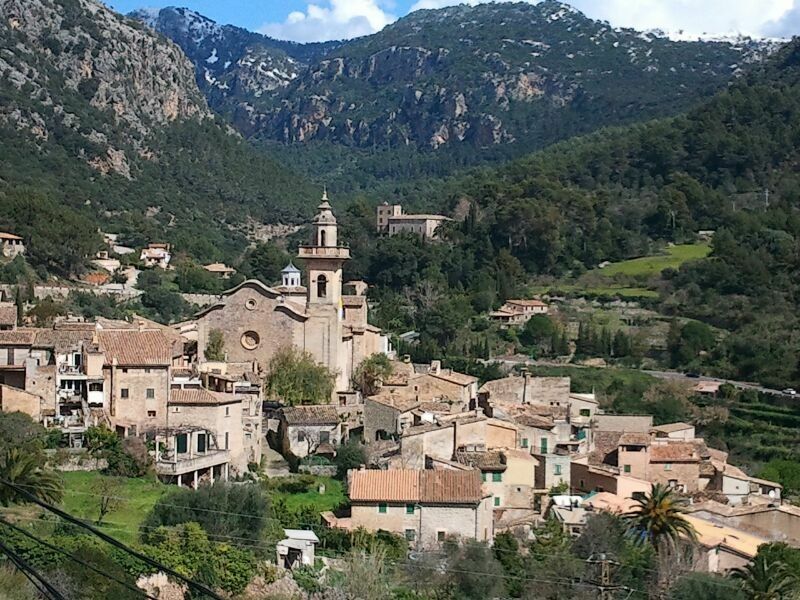 Amazing tour to discover incredible landscapes in Mallorca, located into the west coast, on the famous “Sierra de Tramuntana” declared world heritage by the Unesco. You will drive direction to Valldemossa considered as one of the most beautiful towns on this island, where you will have the opportunity to visit Carthusian monastery where the famous piano player and composer Frederic Chopin spent a winter in Mallorca with his lover, the french writer George Sand 1838/1839, into the monastery you will have the opportunity to discover amazing gardens, the way of living of carthusian monks visiting prior room and the story of this romantic couple Chopin and George Sand, the old palace of King Sancho and delight yourself with a great piano concert with music composed by Chopin during his stay in Mallorca as “rain drops”prelude.Valldemossa is a lovely town, cobbled stone roads and narrow streets decorated with flowers and plants…Then you will do the amazing scenic road on the west coast, enjoying great sea views and crossing Deia, where Robert Graves, the british writer was leaving to get into Soller, heart of the majorcan orange valley. 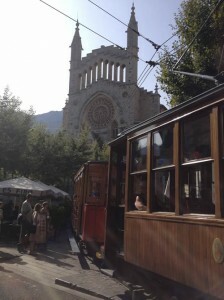 In Soller you will have time to enjoy the town and its architecture, specially art nouveau buildings inspired in Gaudi as St Bartholomeu church or the Soller bank, Miro and Picasso exhibition or just relax and enjoy a delicious ice cream.Then you drive back to the port.